Vidyut is a young and charming entrepreneur who is skilled in different martial arts. He has a rich knowledge about the Vedas and the Indian history. What makes him special, is that he is half human and half god. He is the descendant of the great Visvasvan Pujari, the person who helped lay the foundations of the city of Harappa 3700 years ago. Read this book to know about the horrifying curse that was bestowed upon Visvasvan Pujari which doomed the Harappans and the curse which is dangerous for the entire human race. Vineet Bajpai's historical thriller is action packed and there's a twist in every turn of the page. The author has delivered a very informative book. All of us has read about the great Indus Valley Civilization in our history books when we were young. The author here will alter all your views about the Harappans and their land and their age old civilization. A simple yet strong narrative, with an enjoyable and applaudable gripping plot, the book will not disappoint you. Vineet Bajpai has presented a historical thriller with much finesse. Historical fiction and thrillers are my favourite genres and having both genres in one single book was worth the read. The book talks about many historical facts and also doesn't fail to show to what extent human beings can go when it comes to greed and power. The book started off strong and held its pace. I found myself wanting more and this is one of those books which I did not want to end. From charismatic characters like Vidyut to the incredible plotline; from the description of the ancient civilization to the modern day Varanasi's sacred ghats, I enjoyed this book thoroughly. I am eagerly waiting for the next book in this series and I hope to read it soon and quench my thirst. This is a must read for all historical thriller lovers. 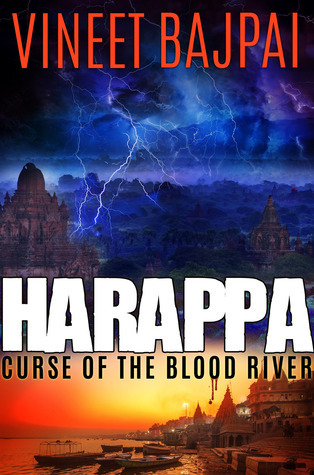 Sign into Goodreads to see if any of your friends have read HARAPPA.